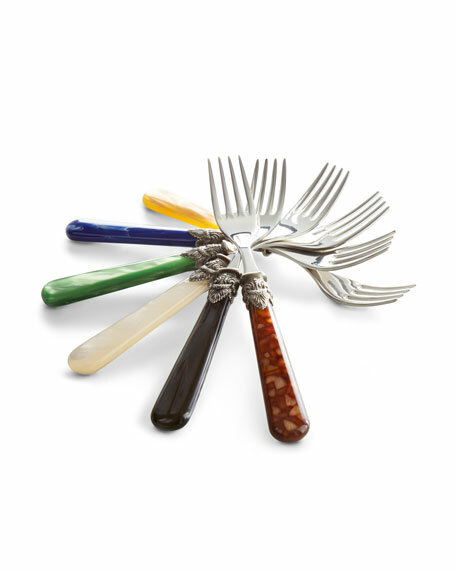 18/10 stainless steel with acrylic handles. 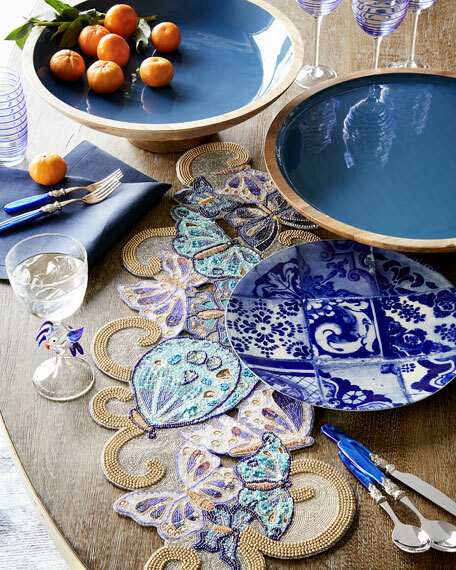 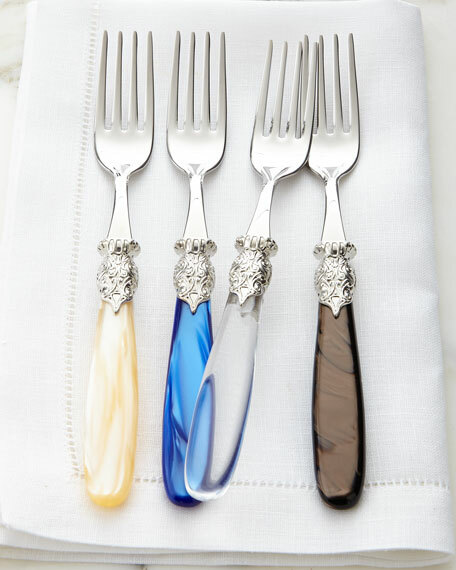 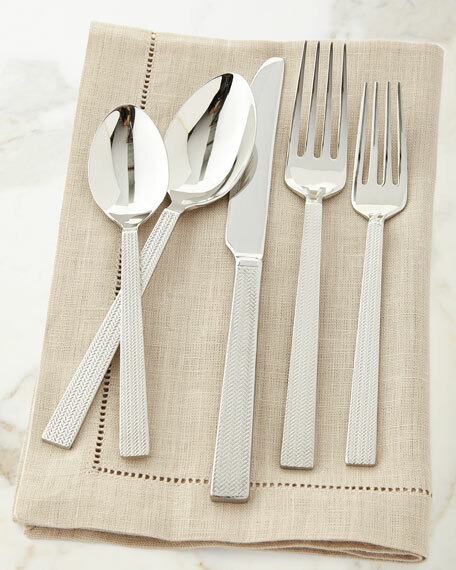 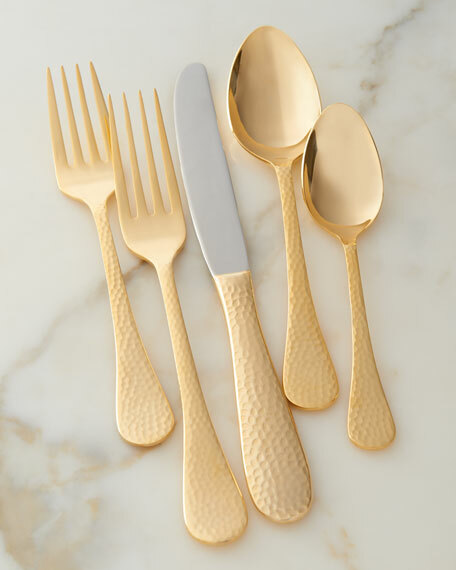 Service includes four 5-piece place settings (dessert fork, dinner fork, dinner knife, dinner spoon, and dessert spoon). 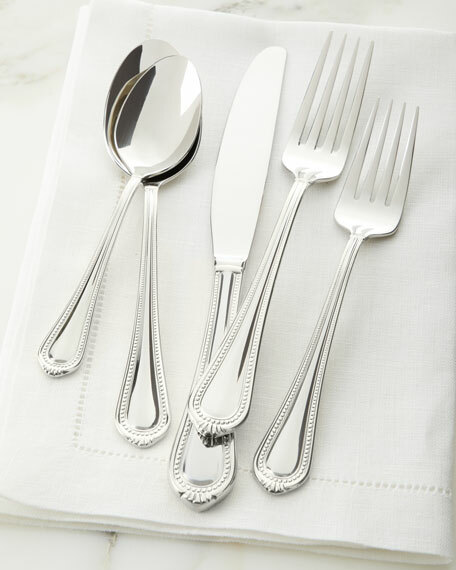 Classically styled flatware.Made of 18/10 stainless steel.65-piece service includes 12 salad forks, dinner forks, dinner knives, dinner spoons, and teaspoons and a five-piece hostess set.Dishwasher safe.Imported.